CFS catcher, Amber Shelley, led off with a single against Mayfield in the Lady Eagles 17-1 win. DRAFFENVILLE – Christian Fellowship’s Lady Eagles softball team has jumped out to an early season 3-1 record with two wins over Mayfield, a win over Fulton City and their one loss coming against Fulton County and are well on their way to surpassing last season’s 6-10 record. Under the direction of Head Coach Trevor Jackson, the team is made up of players Maddie Ortt. Carley Alexander, Maddie Hatton, Rachel Howard, Amber Shelley, Abigail Cima, Abbie Fletcher, Tristian Sanders, Emma Fletcher, Faith Haley, Gabrielle Hilton, Jaycie Jackson, Grace Miller and Heaven Youngblood. Maddie Ortt is 3-1 on the mound for the Lady Eagles. 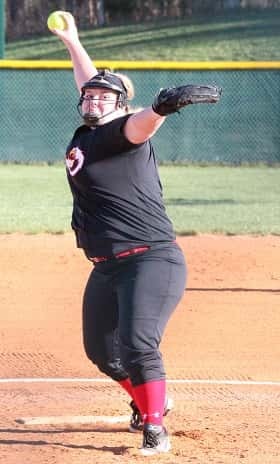 The Lady Eagles opened their season at home on March 17th against Fulton City with a 15-11 win led by Ortt going 2-4 at the plate with a double and four RBI’s and Howard also 2-4, a double and three RBI’s. Ortt got the seven inning win on the mound for the Lady Eagles allowing 11 runs on 10 hits. At Trinity Whitesville on March 21st, the Lady Eagles lost 8-0. Trinity’s eight runs came on seven hits with one error while the Lady Eagles had two hits and five errors. 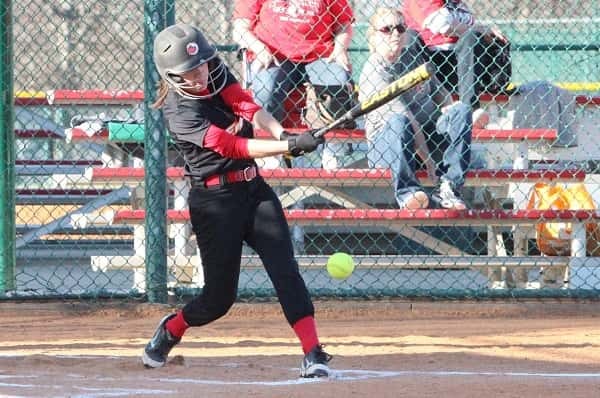 Last Monday at Mayfield, the Lady Eagles beat the Lady Cardinals 18-2 on 14 hits and one error. Leading 6-0 going into the 6th inning, the Lady Eagles put 11 runs on the board. Mayfield scored two runs in the 6th inning avoiding the shut out by Ortt who pitched seven innings, picking up the win. Shelley had a big game for the Lady Eagles going 3-5 with a double, homerun and three RBI’s. CFS and Mayfield met again on Monday at Miller Park with the Lady Eagles picking up a 17-1 win in three innings. Ortt with the win struck out five batters in two innings giving up one run and three hits. Sanders was 1-2 at the plate for CFS with three RBI’s.